Those who practice Technical Analysis always quote Moving averages. However, they are often put in the background for other indicators. These analysts use moving averages for their own price calculations. 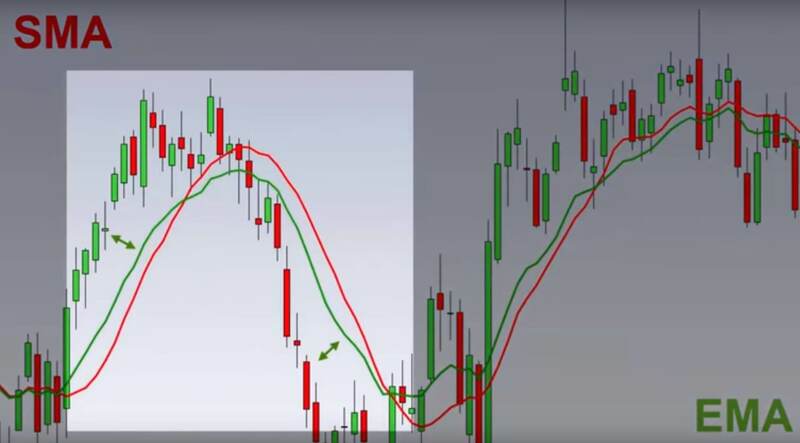 I persist in saying that this is a loss for the novice analyst as well as confirmed: the moving averages are as easy to understand as they are expressive. And as such, they make it possible to feel the basic laws of the market. Let’s see these rules in action on this same chart of the title IBM which served us for the trendlines discussed before. 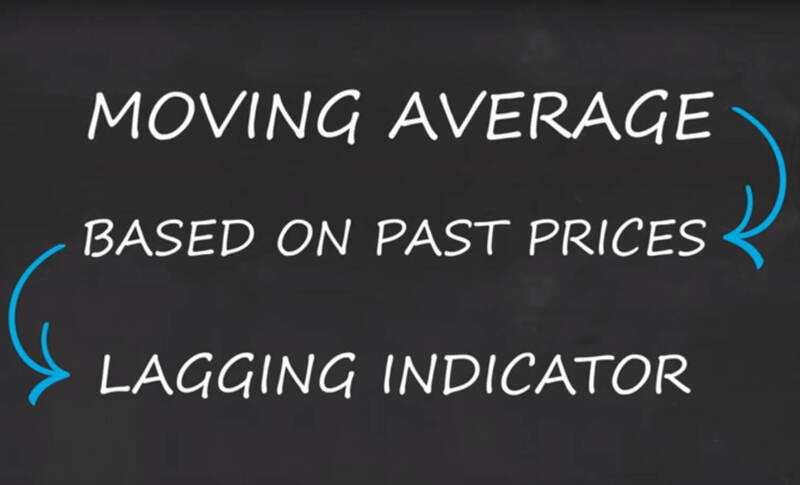 Moving averages, as their name explains, are calculations that give you the average trend of a currency pair. This average is calculated for different time periods and help get a general feeling of where that currency is going. 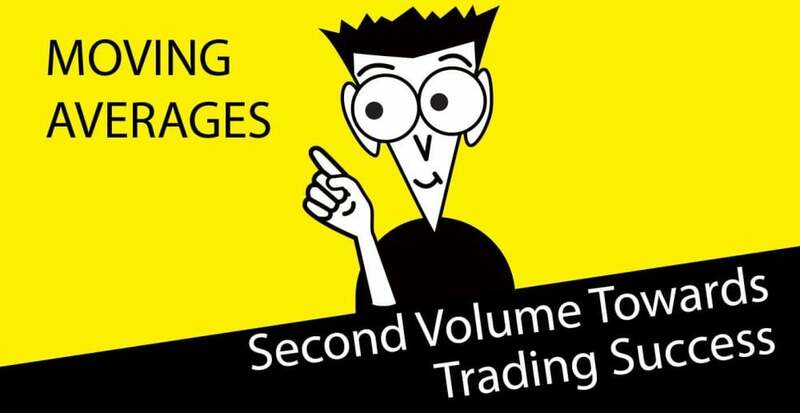 A trader would wait until some action happened both above and below the moving average of the security’s price in order to execute a trading signal. Depending on your investment strategy you should calculate the moving averages according to your trading goals (all trading platforms automatically calculate this for you). If you want to trade short-term, intermediate or also long term. The Arithmetic (or Simple) Moving Average of the 20-day closing price: the MMA20. 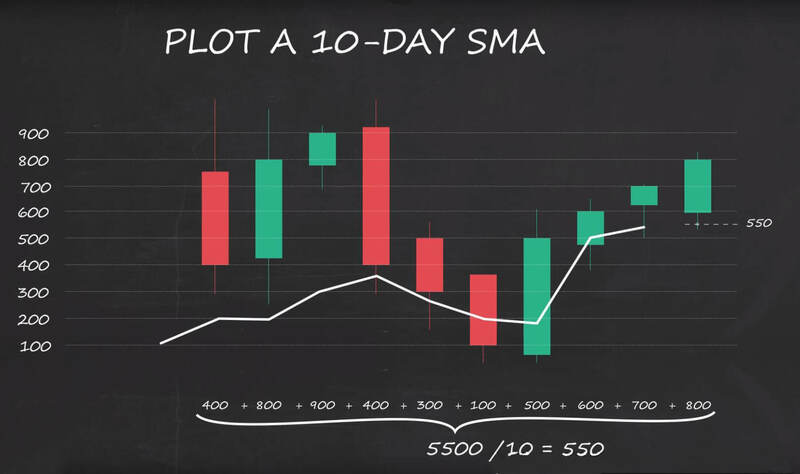 We calculated the SMA by adding the prices of the last 20 days (or any days you want to calculate the movement for) and divide the result by 20 (same amount as before). Thus, we have an idea of the average value over a period of 20 days. There are two moving averages, the simple (explained briefly above) and the exponential. The main difference is that the simple moving average treats every daily price equally. It does not give older or newer data any more importance. On the other hand, the Exponential moving average considers that newer data is more relevant than older data and hence, gives it more weight. As you can see, the green EMA (Exponential Moving average) reacts faster than the SMA as it gives the most recent prices a higher importance. The EMA reacts faster to sudden changes in the price. Previously we have said that one of the main basic trading strategies for foreign exchange traders would be identifying supports and resistance trendlines. Secondarily, one of the least complicated strategies would be Moving Averages crossovers. What this crossovers should be used for, is to identify imminent trend changes. This is most useful to prepare oneself to open a position in your trading platform in the opposite direction. As you may have noticed by now, the price normally tricks you. When you think that the fall in price will continue for a while, it goes back up. In order for us to notice if that movement is tricky, we study Moving average crossovers. Following these crossovers you will see the underlying real price instead of just the sudden movement. And hence, you will not open a trade that you will shortly regret. But there are so many Moving Averages! The most widely used strategy is when you use both a short and a long moving average. If you are focusing on the short term, the logical thing to do would be setting your Moving Averages to 5 day and 35 days. Long term would be equal to one of the moving averages to be 50 and 200-day moving average. Now, the time to buy and be ready for a change in the trend on the upwards side is when the shorter MA (5 day if short term and 50 day if long term) crosses the longer one (35 day if short term and 200 if long term). The name of this movement is “Golden Cross”. On the other hand, the so called “Dead Cross” happens when the shorter MA crosses through the longer MA. This would be your signal that a bearish movement is about to start. Strategies with Moving Averages produce signals that are somehow delayed. As we explained above this strategy uses two different indicators that lag in time. Due to this lagging we, as traders, will see faulty signals. We call these “false” signals Whipsaws. A tool that can be used to check the quality of the crossover is the MACD. Please read our next Article in order to learn about the MACD divergence! Do not let the lack of knowledge disempower you as a trader!